Excited for Yellowstone season 2? You should be. This show proved itself to be a powerful locomotive for the Paramount Network in season 1, becoming their biggest scripted hit and one of the biggest cable hits of the year. It didn’t necessarily generate flurries of promotion within the media but it did the most important thing: Finding a core group of people who love it and are loyal to it. They stuck with it throughout season 1, and the question now is how many are ready to get back in the saddle this summer? In the new teaser that CarterMatt has for you below, Paramount Network reveals that season 2 will kick off on Wednesday, June 19 at 10:00 p.m. Eastern. It’s the perfect time of the week and year to air a show like this. 1. Where’s the competition? – That’s the point. 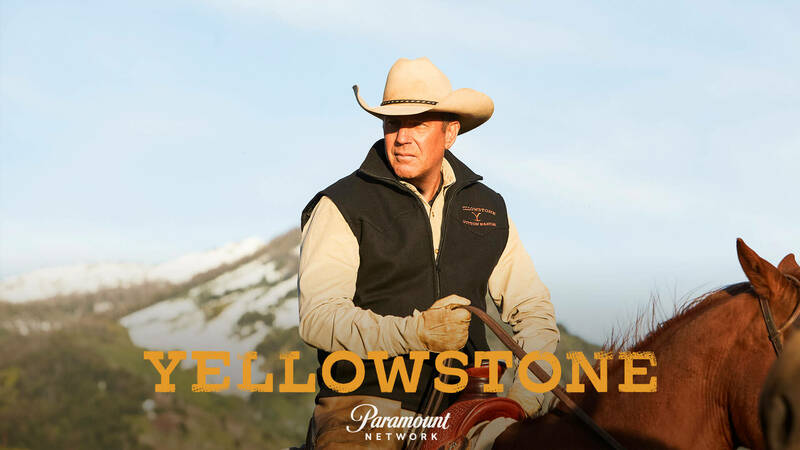 In airing Yellowstone in the summer, the network is giving itself a programming oasis. There aren’t so many other options for viewers to check out and because of that, it’s easier to get a stampede over here. The timeslot’s a little late at night for some, but this does help it sidestep some of the stuff that’s happening elsewhere on network TV. This does also help Yellowstone get more of the viewers who are spending most of the day and early evening out, enjoying just about every hour of relative sunlight that they possibly can and then are ready to settle in and watch some TV to unwind before heading to bed. 2. The purpose of Wednesdays – When you think about it, ABC and NBC are dominating Mondays with The Bachelorette/American Ninja Warrior. Meanwhile, NBC also has a strong foothold on Tuesdays with America’s Got Talent. Nobody has the same clamp on Wednesday nights and things are a little more, fittingly, of a wild west type scenerio. Everyone can bring their own TV champion to the air and everyone can duke it out for a spot atop the throne. Will Yellowstone generate the same success for season 2 that it did for season 1? While we do have a sense of cautious optimism, we’re also firmly aware that it doesn’t even need to. As a matter of fact, all it really has to do is find a way to keep some of that feverish audience. If it does that, you’re almost sure to get a season 3, more attention, and potentially all sorts of other great things. What makes Yellowstone stand out? If you haven’t seen it yet, the setting is a big part of it — it’s picturesque and it offers up a different landscape than you’re used to seeing on television. There’s a lot of open space and at times, life moves at a different speed. Kevin Costner and Kelly Reilly are among the cast that is delivering the goods, but then beyond that you also have a twisted narrative full of corruption, land battles, and greed. It’s almost like Dynasty meets Dallas meets an old-school Western set in the present. Like any of these things? Then there’s a good chance that you’ll be glued to the TV when this comes on. Want some other insight right now regarding Yellowstone?